Lawyers Engin Cinmen, Figen Albuga Çalıkuşu, Ferat Çağıl and Melike Polat who represent jailed journalists Mehmet Altan and Sahin Alpay issued a statement regarding non-implementation of the Turkish Constitutional Court’s decisions order release of their clients. In the statement, the lawyers made references to the relevant articles of the Turkish Constitution, pointing out that the Constitutional Court’s judgments were binding for everyone. Also touching on comments made by politicians in the aftermath of the top court’s decision, the lawyers called on everyone to abide by the rule of law. The lawyers also added that by insisting on not implementing the top court’s ruling, the courts of first instance were violating the defendants’ “rights to personal liberty and security” and were unlawfully restricting their freedom as per Article 109 of the Turkish Penal Code (TCK). On 11 January 2018, the Turkish Constitutional Court decided that decisions to arrest as to journalists Sahin Alpay and Mehmet Altan are unlawful and constitutes the violation of rights envisaged by Turkish Constitution and European Convention on Human Rights. Same day, Istanbul 13th and 26th High Penal Courts refused to release Altan and Alpay on the grounds that the decisions (of the TCC) have not yet been published in the Official Gazette. On 14 January 2018, Istanbul 13th and 26th High Penal Courts refused to release Altan and Alpay again on the grounds that the the TCC exceeded its authority drawn by the Constitution. On 15 January 2018, Istanbul 14th and 27th High Penal Courts refused objections of the lawyers to Altan and Alpay. We, as the lawyers representing Şahin Alpay and Mehmet Altan, feel we are obliged to clarify some legal question marks that have arisen following the January 11, 2018, judgments rendered by the Constitutional Court of the Republic of Turkey. It is essential in this historical milestone that everyone living in this country, which is a constitutional state as indicated in its very Constitution, is aware of these facts. CONSTITUTIONAL COURT JUDGMENTS ARE BINDING FOR EVERYONE AND EVERY INSTITUTION. NO ONE MAY GIVE INSTRUCTIONS TO COURTS AND JUDGES, OR MAY EXERT INFLUENCE UPON COURTS AND JUDGES. In light of the above provisions, the statements and comments being made concerning the Court’s decisions are clearly in violation of this Article of the Constitution. THE CONSTITUTIONAL COURT HAS NOT COMMITTED A USURPATION OF AUTHORITY; IT HAS NOT EXCEEDED THE LIMITS OF ITS AUTHORITY. As per Article 148 of the Constitution, the Constitutional Court decides on individual applications. In light of the terms prescribed in the said Article, any individual may apply to the Constitutional Court on grounds that one of the fundamental rights and freedoms within the scope of the European Convention on Human Rights, which are guaranteed by the Constitution, has been violated by public authority. Whether judicial authorities have exceeded their judicial discretion in assessing “the existence of strong suspicion of having committed an offense,” “circumstances necessitating detention,” and “the proportionality of the detention measure” are subject to review by the Constitutional Court. Although the interpretation of provisions regarding detention measure and their application in cases falls within the judicial discretion of courts of instance, in the event of interpretations that are clearly in violation of laws and the Constitution and clear arbitrariness in the assessment of evidence, court rulings that have led to violations of rights and liberties are subject to review as part of the individual application. The Constitutional Court conducts this review by taking into consideration the circumstances regarding the present case, with particular emphasis on the process of detention and the grounds for the detention order. This review does not constitute usurpation of authority or discretionary review. The judgments rendered by the Constitutional Court were notified to the Istanbul 26th High Criminal Court, where Mehmet Altan is on trial, and the 13th High Criminal Court, where Şahin Alpay is on trial, with a view to eliminating the violations determined by the High Court at around 17:00 hours via the National Judiciary Informatics System (UYAP). The courts that refused to implement the Constitutional Court’s judgment and violated the Constitution were not night courts as they have been claimed to be in statements by government representatives, but trial courts. THE CONSTITUTIONAL COURT DOES NOT LACK KNOWLEDGE AS TO THE SPECIFICS OF THE CASES nor HAS IT ONLY REVIEWED THE CASES UP TO THE ISSUING OF THE INDICTMENT. As stated in the reasoned judgment by the Constitutional Court, it has reviewed the entirety of both cases and the latest developments in the proceedings via UYAP through the application forms and their annexes. JUDGMENTS RENDERED WITH REGARD TO INDIVIDUAL APPLICATIONS DO NOT HAVE TO BE PUBLISHED IN THE OFFICIAL GAZETTE, AS IS THE CASE FOR ANNULMENT DECISIONS. The Constitutional Court has made both of the reasoned judgments available for the public on its official website the same day as it rendered the judgments, and has even announced on the social media network Twitter at 23:22 hours that the judgments have been made public. COURTS OF FIRST INSTANCE MAY NOT QUESTION JUDGMENTS RENDERED BY THE CONSTITUTIONAL COURT. Accordingly, no state organ, office or person, or the court of first instance whose responsibility it is to implement the judgment, may question the reasoned judgment; it is its responsibility to immediately execute the decision with a view to eliminate the consequences of the violation. Any other action otherwise is not possible as long as this law is in effect. 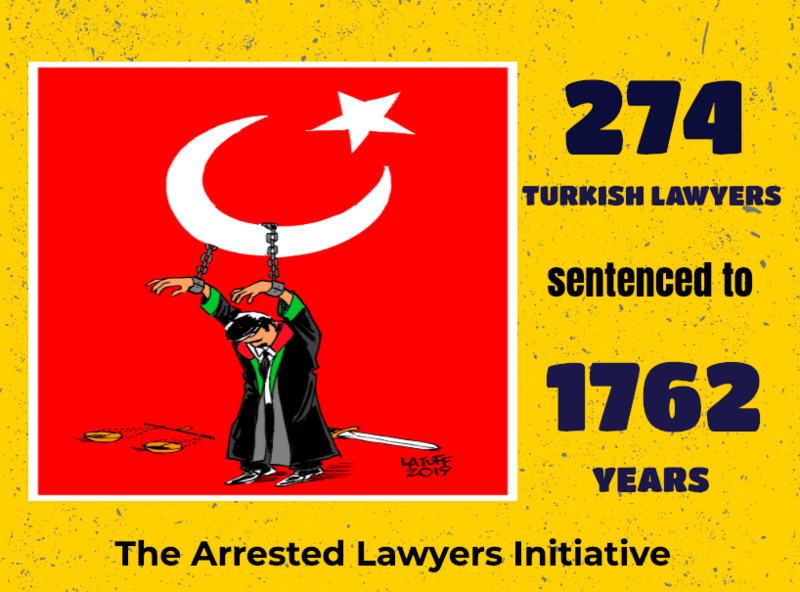 The provisions of the Constitution are clearly being violated; the courts of first instance are insisting on the continuation of detention, violating the “right to personal liberty and security,” enshrined in Article 19, and consistently committing the offense of “unlawfully restricting the freedom of a person” as per Article 109 of the Turkish Penal Code (TCK). THE CONSTITUTIONAL COURT CANNOT BE DEEMED REPUTABLE WHEN IT REJECTS AN APPLICATION REGARDING THE ANNULMENT OF STATUTORY DECREES ISSUED UNDER STATE OF EMERGENCY AND BECOME A SCAPEGOAT WHEN IT RENDERS A RULING AIMED AT PROTECTING FUNDAMENTAL RIGHTS AND LIBERTIES. WE CALL ON ALL MEMBERS OF THE JUDICIARY WHO HAVE A CONSCIENCE AND EVERYONE WHO BELIEVES IN THE PRINCIPLE OF RULE OF LAW AND WHO WANTS TO LIVE IN HER/HIS COUNTRY UNDER THE ASSURANCE OF LAW, TO STAND UP FOR LAW AND THE TRUTH.